The Red Devils are already through to the knockout phase of the competition and they still have the realistic chance of topping their group ahead of Juventus, should the Italian side fail to win their game against Young Boys. David de Gea has been the Red Devils' regular in goal for both the league and European duties but he should be rested for this game with Mourinho assuring a rare start for Sergio Romero. In the defence, Diogo Dalot and Ashley Young may keep their places on the right and left side of the backline but there should be a change in the central defensive department with Chris Smalling unavailable with an injury. In his place, the returning Eric Bailly could partner Phil Jones. 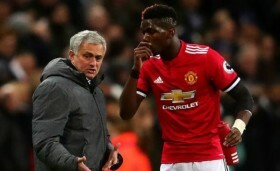 Likewise in the midfield, changes are expected with Mourinho already confirming starts for Paul Pogba and Andreas Pereira. Alongside the pairing, Scott McTominay could feature in the centre of the park as the trio have plenty to prove to the club's head coach. Onto the frontline, Juan Mata could be a potential starter on the right wing with Marcus Rashford on the opposite end while Romelu Lukaku could lead the line in the quest to get a scoring run going. Lukaku has netted two goals in his last three matches for United after previous going without one in 10 games.